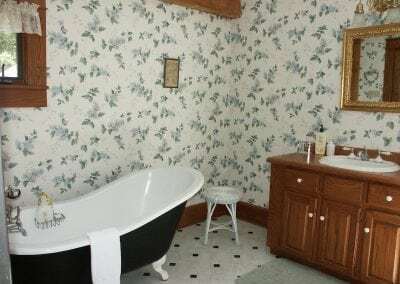 The Bride’s Room, located on the second floor in the Carriage House is decorated with vintage marriage certificates, and Mission Style antique furniture. 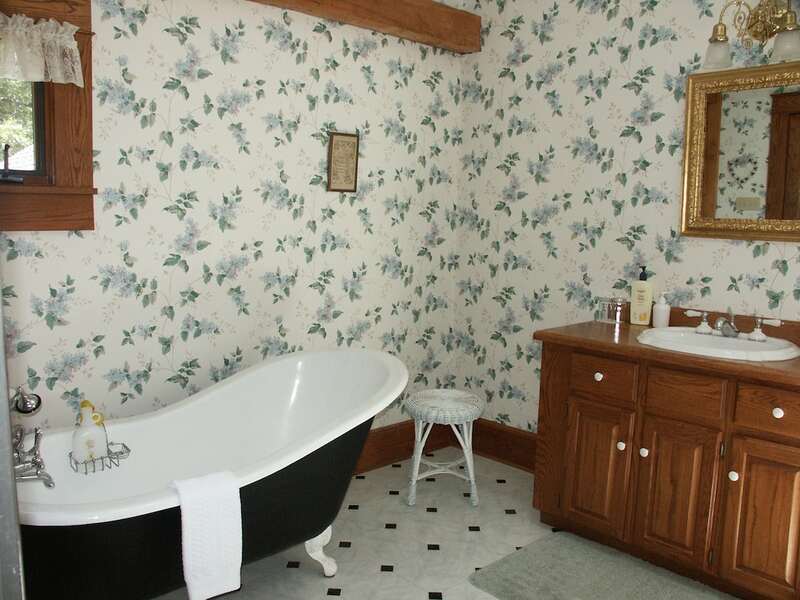 The large, sky lighted, private bath features a ‘slipper foot’ clawfoot tub and a walk-in cultured granite shower. 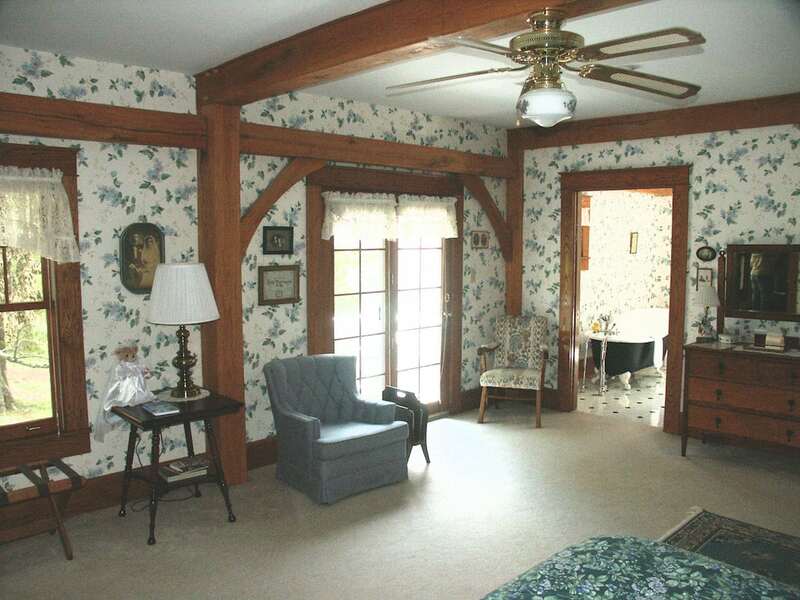 The Bride’s room also has a small private balcony with chairs that view into the wooded area to the south. 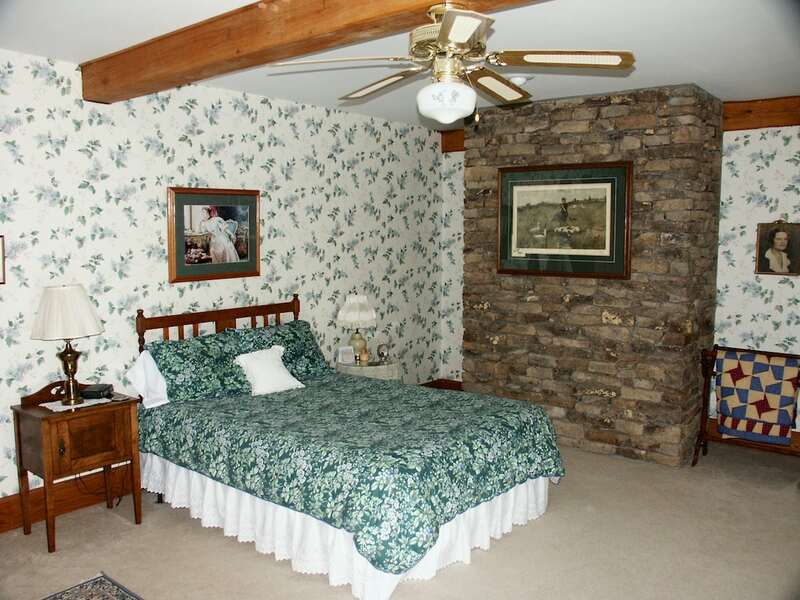 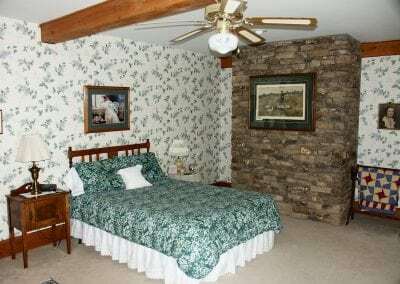 This room rents for $125 per night double occupancy and has been a popular room for anniversary or honeymoon celebrants.